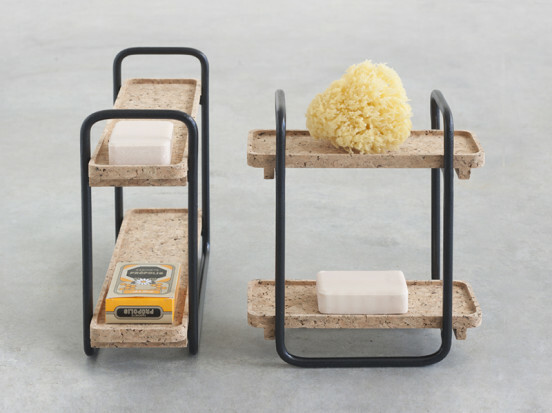 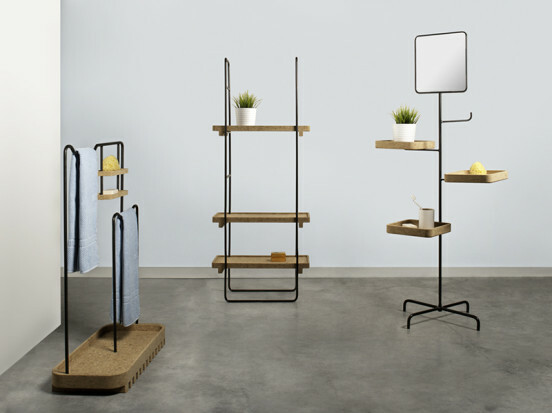 The Bug collection aims to create a deeper connection between the bathroom area and the rest of the home by revisiting furniture typologies. 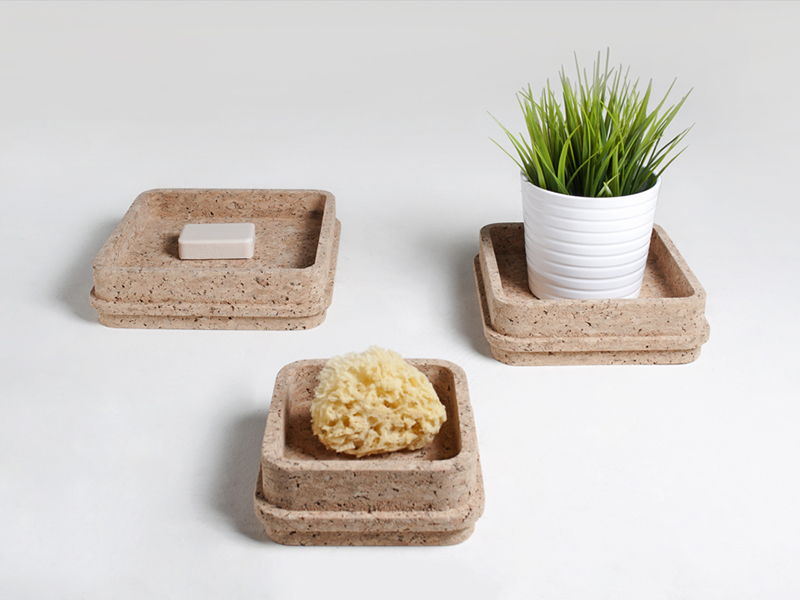 We wanted to use a natural material that could co-habit with the moist atmosphere of the space. Wood was our first choice, but it requires a lot of maintenance. 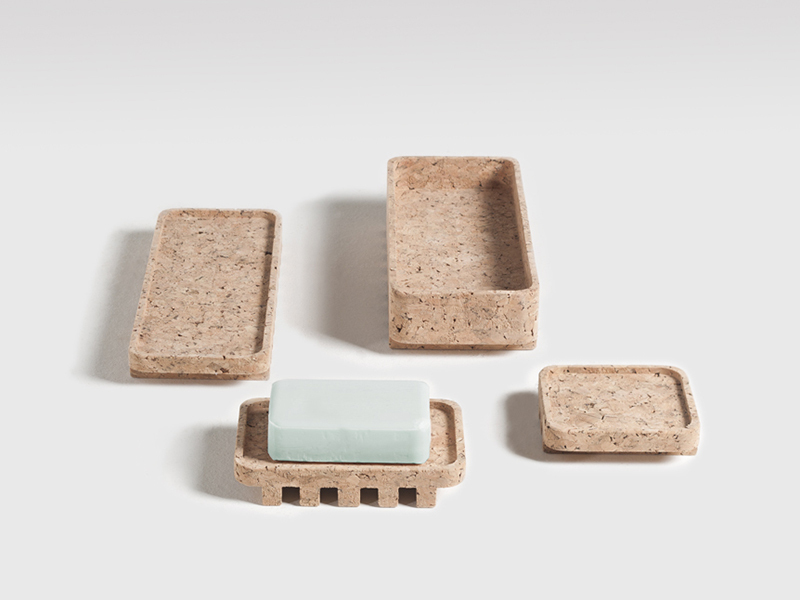 Since we have been working with cork in other projects, we found it to be the perfect solution for this one in particular due to its unique properties: impermeability to liquids, thermal and acoustic insulator, hypoallergenic and soft to touch. Our interest in creating a bridge between our cultural backgrounds gave birth to this collection. We drew inspiration from the relationship between the Japanese ‘geta’ flip flops and the Portuguese cork tradition to conciliate with the idea of ‘avoiding the wet floor’.